Маленький Блюзовый Лэйбл, Toronto, Canada. Цена дисков достаточно высока (ориентировочно 18у.е. в Москве). Диски характеризует отличное качество звучания и оригинальный фирменный дизайн. 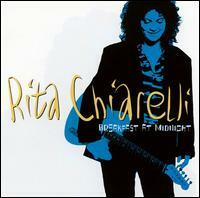 Joining Rita in studio were Colin Linden and Kevin Breit on guitars, George Koller on bass, the legendary Richard Bell on keyboards and Carlos del Junco on harmonica. 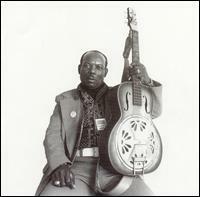 Blues guitarist Archie Edwards was 68 years old in 1986 when he recorded these sessions in Toronto. Its release 15 years later was cause for blues fans' joy and sorrow. Thought it was great to finally have available, it's unfortunate that Edwards wasn't recorded more often; his natural approach to the blues is timeless. 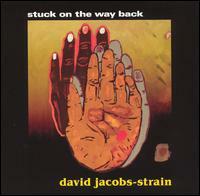 David Jacobs-Strain might still be young, but he has a formidable arsenal at his command, with a guitar technique and power that's second to none and a voice that's decades older than his baby face. But once you get past the contrast between his appearance and the fire in his sound, it's apparent you're in the presence of a very talented bluesman, one of the best of a new generation. Some records are good but never develop the kind of critical mass to stand out from the pack. Bogart's Bounce is like that, with J.W. Jones airing his admiration for Stevie Ray and the Fabulous Thunderbirds (plus a couple of touches of soul), but never really making any kind of lasting impression. Like Jimmy Witherspoon, T-Bone Walker, and Dave Specter, J.W. 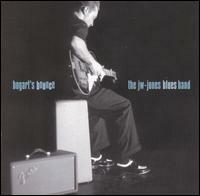 Jones is the sort of person who likes a lot of jazz in his blues. Defibrillatin', the Canadian guitarist/singer's debut album, doesn't cater to bop snobs Jones doesn't spend all of his time trying to show you how fast he can play John Coltrane's "Giant Steps" or Sonny Rollins' "Oleo," but he does sound like the sort of bluesman who has spent a lot of time listening to guys like Jimmy Smith and Jimmy McGriff (not to mention T-Bone Walker). Nashville guitarist Johnny Jones has played with such blues legends as Bobby Blue Bland, Freddie King, Gatemouth Brown, and Jimi Hendrix. 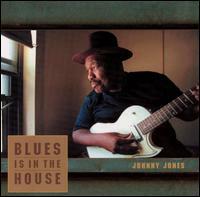 Amazingly, Jones has been playing the blues since the late '50s, but this is only his second full-length CD as a leader. Jones knows how to play straight-up party blues. To call Harry Manx a wizard of slide guitar is perfectly true, but not the whole story. Add banjo, harmonica, and the Indian veena to that, and you're approaching the real story. On Wise and Otherwise he demonstrates the full range of his talents, which are firmly based in the blues, but extend far beyond all the way to Indian music, with his own "Raga Nat Bhariav," a short, but beautiful journey for the veena. Slide guitarist Harry Manx was born in the U.K., raised in Canada, and lived and worked in Europe and Japan before spending five years studying Indian slide guitar under the great Vishwa Mohan Bhatt. This is his first solo album, and as one might expect, it's a fascinating hodgepodge of differing musical traditions. Harry Manx is a kind of blues loner: He plays a unique east-meets-west blues that's more intellectual than the usual 12-bar jams. 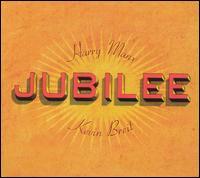 On Jubilee, he tries to be sociable by teaming up with jazz session guitarist Kevin Breit. Gospel, blues, jazz, R&B all are kin on music's family tree, descended from spirituals sung by slaves on the plantations. So it makes sense that producer Frazier Mohawk and Canadian blues label NorthernBlues would tie gospel and blues together again. 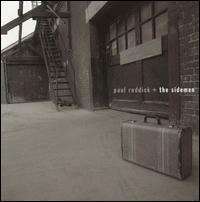 Paul Reddick and company dig into the pre-World War II rural blues repertoire. They come up with Delta gems for their tough, electric blues sound. They use studio effects and unexpected equipment to achieve raw, analog visitations of the past blues masters on almost every track. 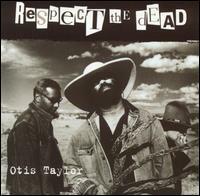 Otis Taylor might well be the best and most inspired of contemporary bluesmen. His White African album was a masterpiece which makes the task of following it doubly difficult. With Respect the Dead, however, he does a superb job the man is still very much on a roll. Otis Taylor has a knack for interesting titles; Blue-Eyed Monster and When Negros Walked the Earth are among the CDs that the Denver bluesman recorded before White African. Taylor also has a knack for very dark and sobering themes this 2001 release, in fact, is full of them.